I’m working on a somewhat larger and darker painting than you’re probably used to see of me. 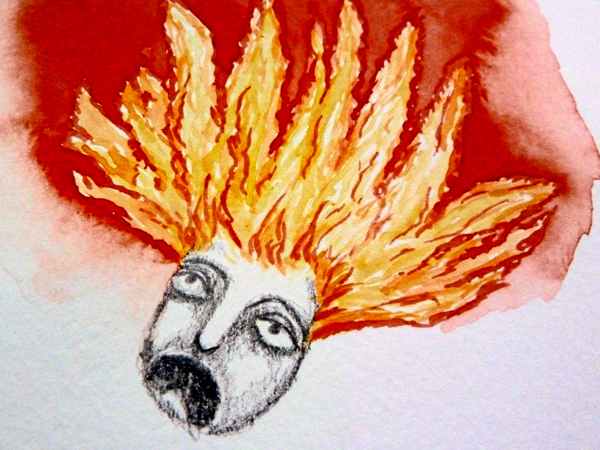 For that painting I had to set a fire…ironically with watercolour!! !